Mill Avenue District in downtown Tempe, Arizona will host tens of thousands of visitors for its annual winter holiday events this November and December including the Fantasy of Lights Parade, the Tempe Holiday Boat Parade, the Tempe Festival of the Arts, and the Christmas Tree Lighting Ceremony. This series of annual events makes Tempe an ideal—if not unexpected—destination for a bit of holiday cheer if you find yourself traveling through southern Arizona during the months of November and December, with three back-to-back weekends offering a variety of special seasonal events. If you need a last minute gift, check out the Tempe Festival of the Arts, or if you want a romantic waterfront date, head over to Tempe Town Lake for the Holiday Boat Parade—no matter which weekend you're visiting Tempe, you're sure to find something you'll enjoy in this big little town. On November 24, 2017, the event opens with the lighting of hundreds of thousands of festive holiday lights along Mill Avenue, which is where you'll also see the Fantasy of Lights Opening Night Parade presented by Wells Fargo, the official community tree lighting ceremony, street entertainers, and the arrival of Santa Claus. Children and adults alike will enjoy as community members and performers from across the state come together for the parade, decked out in millions and millions of tiny Christmas lights as they march through the decorated streets of downtown Tempe. The parade route starts at Third Street and Rio Salado, proceeds south on Mill Avenue to 7th Street, west on 7th Street to Maple, and then north on Maple to 5th Street. Centerpoint Plaza is where the holiday tree lighting takes place, but you should expect road closures on Mill Avenue from 7th Street south to Rio Salado, and around 5th through 7th Streets in that area, which could cause significant delays in your arrival if you don't plan ahead. 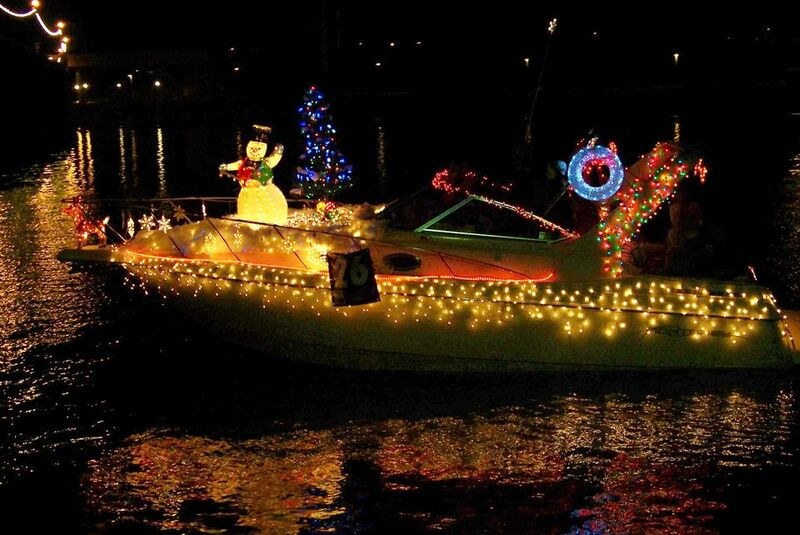 On December 9, a parade of a different type hits the downtown area of Tempe: the Fantasy of Lights Boat Parade, which invites the community (and guests) to take part in a holiday celebration along the shores of Tempe Town Lake. Santa Claus comes to Tempe Beach Park along with a whole slew of food vendors, sponsored activity stations, and well-decorated boats of every shape and size for the 19th annual parade presented by SRP. The floating units enter Tempe Town Lake at the Marina and make their way to and from the north shore of the lake, creating a U-shape of dazzling lights reflecting off the calm surface of the water. The event also features a variety of holiday shopping from local 6th Street Market vendors as well as performances by local artists Cesar Chavez Choir, Trevor Browne Dance Team, Joey Unami, and 76th Stree starting at 4 p.m. Later in the evening, the parade (which starts at 7) is immediately followed by a dazzling fireworks show and performances by more local talent 2Tone Lizard Kings.